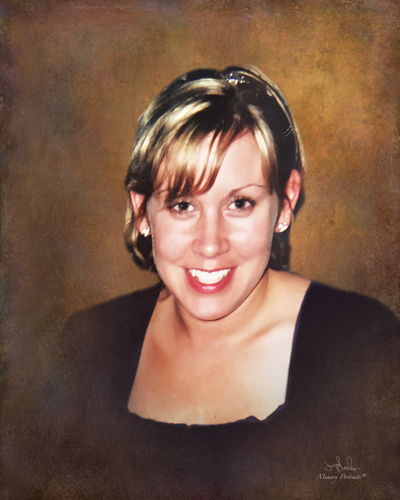 Jennifer C. (Finch) Chamberlain, 40, of Crestwood, KY, passed away on May 11, 2018 in Crestwood, KY. She was born to Anthony and Jimmi Sue (Bright) Long on March 19, 1978 in Mount Carmel, IL. She loved taking day trips and being outdoors. She was very passionate about helping raise money for breast cancer research. She organized the “I Pink I Can” organization in Crestwood, KY which helped raise thousands of dollars for breast cancer research. Jennifer is preceded in death by her mother Jimmi Sue Finch. She is survived by her children; Taylor and Avery Chamberlain of Louisville, KY, Father to her children; Zach Chamberlain of Louisville, KY, Father; Anthony Finch of Jasper, IN, siblings; Amanda Orange of Jasper, IN, Hannah Popp of North Charleston, SC, Jermey Burton of Mount Carmel, IL, Dylan Long of Brazil, IN, and Emily Long of Brazil, IN, and her grandparents; Bruce and Deloris Finch of Evansville, IN. A Celebration of Life service will be held on Saturday, May 19, 2018 at 12:30 p.m. at Stodghill Funeral Home in Fort Branch, IN with Father Tony Ernst officiating. Visitation will be on Saturday, May 19, 2018 from 10:00 a.m. to service time at Stodghill Funeral Home. She will be entombed at Holy Cross Mausoleum in Fort Branch, IN following services. Donations can be made to Golden Arrow Center, 626 S. Shelby St. Louisville, KY 40202.